Bask in the winter sun with boating excursions at Omihachiman, Shiga Prefecture! Omihachiman is popularly known as a castle-town in the Shiga Prefecture. The quaint merchant town lined with temples and shrines, the Hachimanyama Castle, the Kawara museum and old-fashioned wooden houses of Omi merchants, together make it an important Cultural Landscape of Japan. Hachiman-bori area is the most famous of all. Previously, it was a transport hub for ships with white-walled storehouses and houses the Kaewara Tile Museum. Boat cruises are available along the Hachoman-bori that will befriend you with the quaint charm. You will be reminded of Venice if you happen to experience Suigo-Meguri, a cruise round the riverside district. A warm sunny winter afternoon is perfect for Suigo-Meguri. 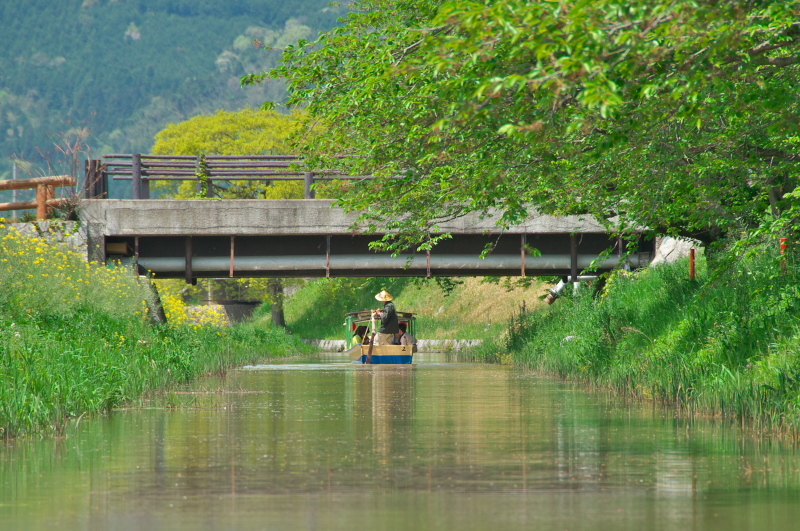 The cruise departs from a few places at Omihachiman city and you can cruise to the riverside district or Hachiman-bori. Chomeiji Temple offers a beautiful view of Lake Biwa from the Bell Tower, located atop Mount Ikiya in Omihachiman. It is well-known as the 31st temple of 33 Saigoku Kannon Pilgrimage of Western Japan. The winding 808 stairs takes you to the top amidst picturesque tree-lined staircase of the beautiful forested mountain. Kamo Shrine is recognized for its guardian deity nationwide. It is a shrine where one receives blessings to ward-off calamities related to direction, traffic safety, match-making and safe child-birth, by passing through the Kimon (demon’s gate). 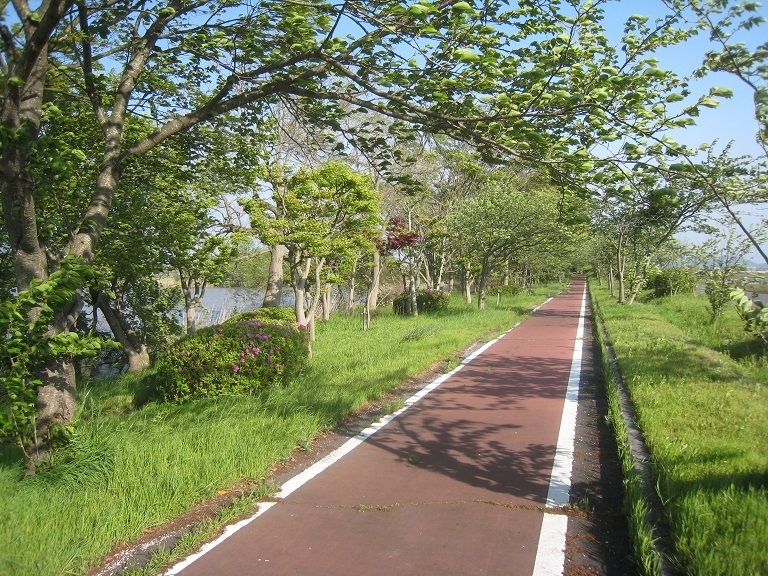 26.6-km long cycling road in colored in red running across Omihachiman, Azuchicho and Higashi Omi is a cyclists delight. Enjoy the Autumn-breeze, the Pre-Winter breeze or the Winter sunshine cycling along with a view of Lake Biwa. A perfect get-away for a long weekend very near to Kyoto and Nara. Hope to see you basking in the sun and experiencing the best of Omihachiman. Mukogawa : A Spot For All !